I am working on a new presentation to help new users of computers and the internet get up to speed quickly and enjoy their experience. I will be posting this presentation as it progresses. Feel free to take a look and comment. 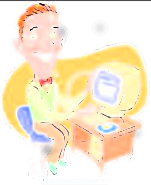 Basic Computers and Internet Presentation. I am helping with the Oroville 1963 Reunion. Here is a data sheet to fill out if you have moved since 2013. Download. You can enter data on our contact page if you choose. I have been wondering around the internet and found an application you migh like to use. It is called Privacy Badger. What it does is block the advertising and others that are tracking you on the internet without your knowing it. Give it a try on all of your browsers (does not work with microsoft Edge). Privacy Badger Web Site. I have a dear friend that told me about Pocket, I have enabled it and added it to all my browsers, yes even my Kindle Fire HD. What it does is allow me to save an article I come across on the net and read it later on any of my devices. Really Useful. Started working on a new area for Ratsupport.com. The Smart Home Automation area will have information for those who need or want help with their Smart Home Devices. Just look at the Nav Menu and go to Smart Home. There will be tons of neat stuff, like a database that tells you how and what to say to your device. Please feel free to comment about our new information. I want to thank the people at Vibralogix for their software and support. They provided the scripts to allow me to manage my Members area in a secure manor. They have other products that allow for paid downloads, secure url's etc.. I don't think I have ever had a better experience with a provider before. If you are looking to do a website or already have one, their products are something you should check into. Always do your Microsoft, Linux, Mac updates. Be sure you have Anti-Virus software no matter your operating system. Have spy or addware software on your machine before you need it and keep it updated. Do your scans, the user must do virus and spyware scans on a regular basis. Don't open emails from sources you don't know and watch out for the ones you do know, microsoft for example will not send you an email, and probably your bank will not either, at least they will not ask for your personal information. If you do open one of these and realize something is wrong, run your updated spyware and virus scans then and there. Information on doing your updates for your computer, including malware removal software, applications and operating systems.